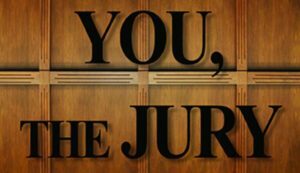 WVHS Theatre presents You, the Jury, this year’s Fall Mainstage, Thursday, October 26 through Saturday, October 28, at 7:00 p.m. in the Waubonsie Valley auditorium. Barbara Scott is on trial for murder. Her case seems hopeless at the outset. Her sister and lawyer Edith doggedly fights back and is finally rewarded when help arrives from a totally unexpected source. Conflict and tension build until the jury decides Barbara’s fate. The verdict is not written into the script but will be deliberated during each show. Tickets are $9 for adults and $7 for students and can be purchased online via wvhs.seatyourself.biz or an hour before the show at the WV Theatre box office.